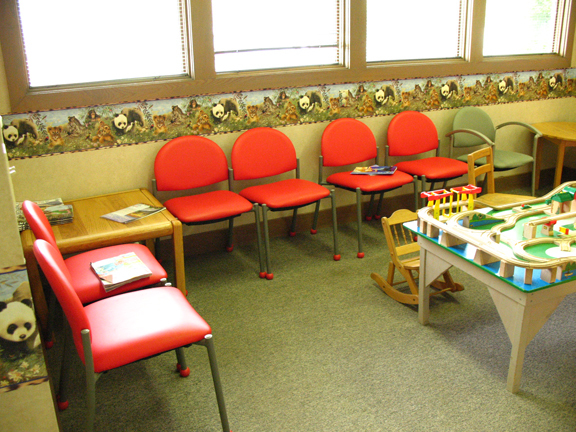 Hendersonville Pediatrics ordered all the armless bola chairs in the same color. I love how the pretty red vinyl gives a bright accent to the room. In addition the frame color of the chairs blends perfectly with the other colors in the room. 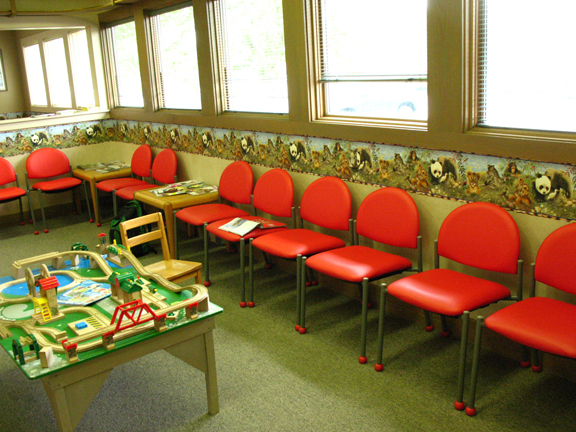 The bright red ball glides of the vinyl chairs completes this picture to add to the beautiful look of the room.